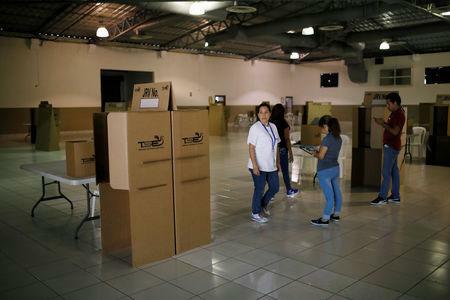 SAN SALVADOR (Reuters) - Salvadorans will vote in the first round of a presidential election on Sunday, with an energetic former mayor campaigning as an anti-corruption outsider set to win the top job and end decades of a two-party system. 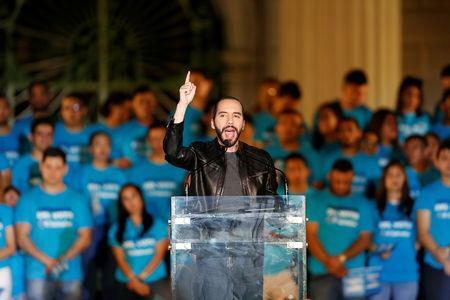 Pollster Mitofsky said in a January poll that Bukele had 57 percent of voter support, while a poll by Gallup showed him with 42 percent. Both polls show ARENA's Carlos Calleja in second place. If no candidate wins more than 50 percent of Sunday's vote, two candidates will pass into a runoff to be held in March. 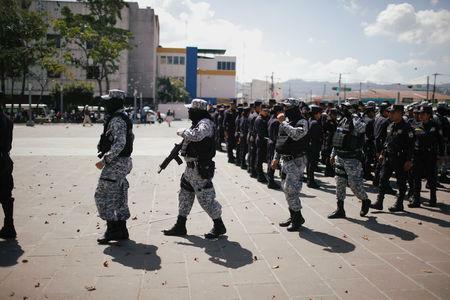 El Salvador's next president will face U.S. President Donald Trump's verbal attacks against Central American governments for not doing enough to prevent migration and have to manage American backlash to recently-established diplomatic relations with China. "A dictator is a dictator, on the "right" or the "left"," Bukele wrote in a tweet last week.